We decided to try a different wefo Indian restaurant to Aangan, which is still a fairly regular destination for us. 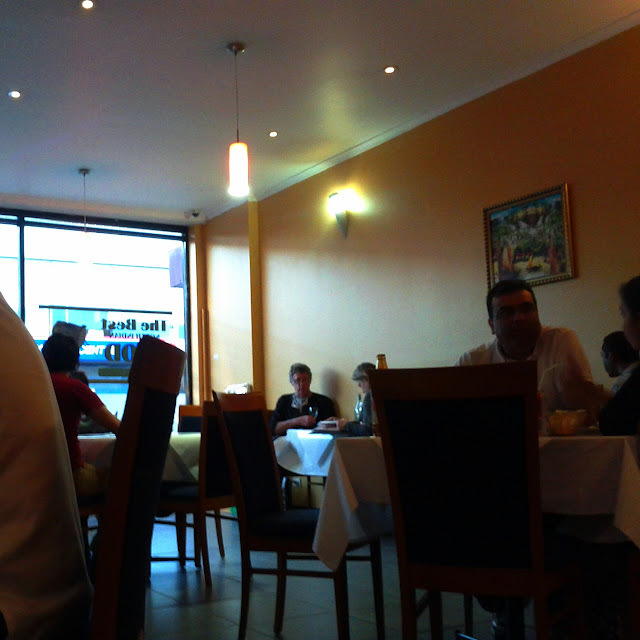 After a bit of research and stroll down Barkly Street, we selected the Hyderabad Inn. When we've glanced in previously, it has often looked pretty empty, however on this Friday evening it was well over half full. The fairly large open space, tiled floor and relatively bare walls gave the place a slightly cavernous feel. The menu is extensive and features south and north Indian food, Chinese-Indian dishes and dosa's. We ended up sticking with some of favourites. 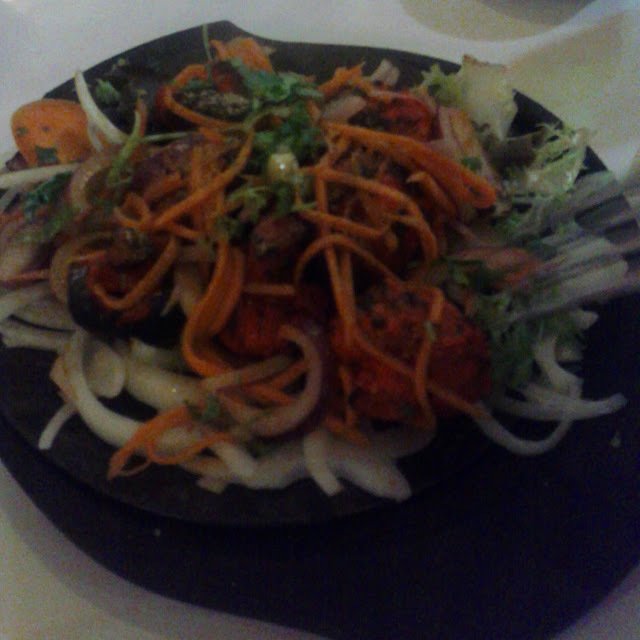 After a poppadom each we shared the tandoori mushrooms, were the customary bright red, flavoursome but a little dry and served with plenty of salad. 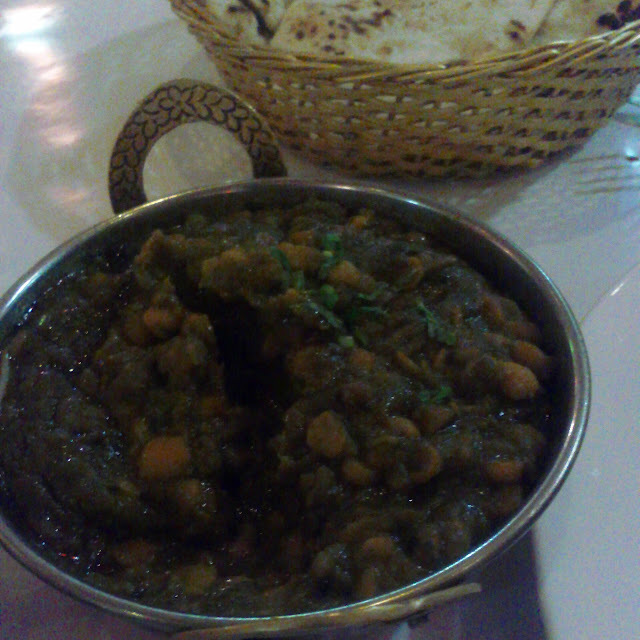 The dahl saag is a favourite of mine and lived up to my expectations, and plenty was mopped up with the naan bread. The yellow lentils retained their texture amongst the spinach and were infused with the flavors from the mustard and cumin seeds and curry leaves. 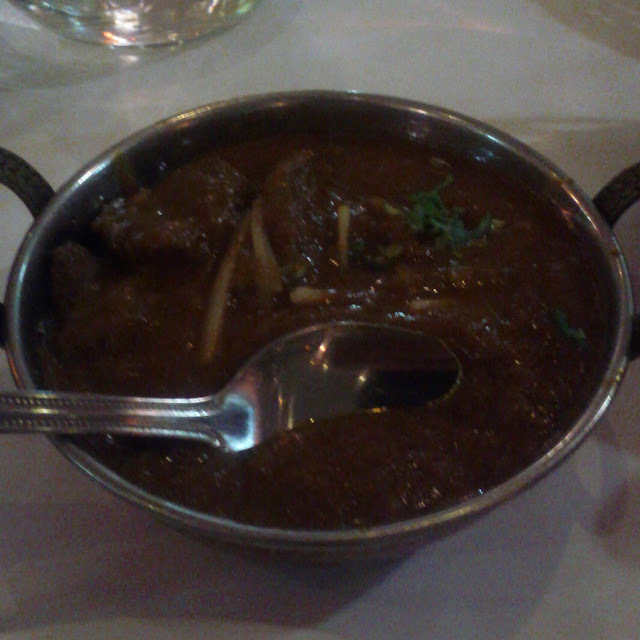 We also shared the lamb rogan josh was a good rendition and pretty spicy, and contained a reasonable amount of tender meat. Next time think about trying the dosas or biryani.